Many former En'owkin Fine Arts students have become professional artists, authors, actors, and educators. A program of the Faculty of Fine Arts in cooperation with the University of Victoria Division of Continuing Studies. 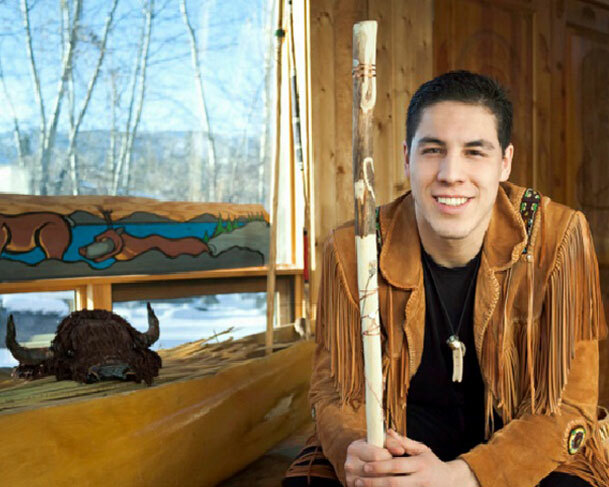 The Indigenous Fine Arts Program exists to develop Indigenous writers and artists, and continues the longstanding partnership with the University of Victoria. Creative Writing courses focus on contemporary creative writing forms. Indigenous worldview is explored in traditional and contemporary oratory, storytelling, and performance arts. The Visual Arts courses nurture and develop visual expression in various disciplines, including painting, sculpture, and installation art, by actively engaging students in projects, presentations, and exhibits. Graduates receive a "Foundations in Indigenous Fine Arts Certificate", awarded jointly by the En'owkin Centre and the University of Victoria.